Home Gadget Interesting info Z 10 Mobile Phone Myths That Proven Hoaxes, Number 5 Many Do It! The development of mobile phones has a long history, but this device became popular in the 90s. Along with the popularity gained, of course the myths surrounding the cellphone appear that come from somewhere. From the myths that have been circulating for a long time, Rildem wants you to know 10 mobile myths that have proven to be mere hoaxes! Hayo, Rildem is sure you believe in some of the myths below! Try to check, what are the actual facts of the myths that you believe in. Ready? Let's just take a look at Rildem's review below! If your mobile feels slow, close all running applications. Logically, mobile work will be heavy and drain the battery when we open so many applications at one time. Maybe there is some truth, but in fact most modern smartphones have been designed to optimize the tasks that you are opening. Whereas the applications that you have opened but are not currently using (background apps), will not confiscate your RAM. 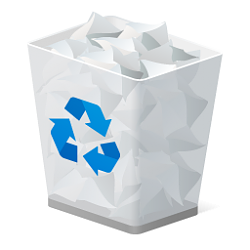 Closing an unused application doesn't hurt, but don't expect your cellphone to be faster. Don't call when your smartphone is checked because it will trigger an explosion. As long as the charger you are using is not a fake brand, your cellphone will not explode and make you hurt. If you use a cheap charger that doesn't guarantee quality, then you have to be careful in using it. The bigger the MP from a cellphone camera, the better the image produced. In fact, the size of the megapixels of a camera is only related to how many photos you can take. Good or not the results of the photo are determined by many factors, such as the quality of sensors, lenses, to the image processor. So, even if you find a smartphone with a 100MP camera, don't be sure that your smartphone's camera is the best. Radiation emitted by mobile phones can make a telephone mature. Ever circulated a video on Youtube about the existence of a cooked egg when placed between two cellphones. The video wants to show the danger of radiation to our brain when making a call. The problem is, the video is just a hoax! Mobile phones do emit microscopic radiation, but you need at least 7,000 cellphones to make eggs mature. 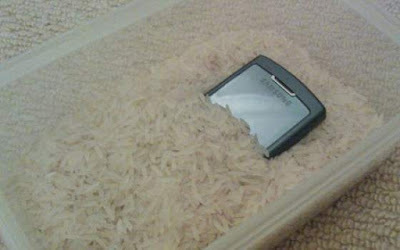 If the cellphone is accidentally submerged in water, put it in the rice so that the water is absorbed. Even though rice can absorb moisture, in fact the new rice can do it when in direct contact with water. When your cellphone is plunged into a swimming pool, maybe rice can absorb water on the surface of the cellphone, but not with water that has entered the engine. Moreover, there is a type of flour in rice that can cause corrosion. Fortunately, the existing smartphone on average is equipped with a waterproof feature. In order not to be tracked, you must remove the SIM card from your mobile. The bigger myth is about tracking. Unless we enter the People Search List (DPO), we will not be tracked by anyone, both the government and the police. So does issuing driving letters make us untraceable? The answer is no. As long as our smartphone is on, we can still be tracked by the authorities. Mobile phones must use a screen protector to avoid scratches. When a smartphone with the first touch screen display comes out, the screen is made of thin glass which is prone to scratches and cracks. To protect the screen from these risks, made a screen protector that is able to minimize scratches and cracks. However, smartphone manufacturers have now equipped their devices with a tough and scratch-resistant screen. So, if you buy a smartphone, you don't need to buy a screen protector, unless you want to provide extra protection. Using cellphones in hospitals, gas stations and airplanes is very dangerous. Actually, the radiation produced by mobile phones is too weak to damage the aircraft's navigation system, blow up the gas station, and cause sick people to get sick. However, if you want to play safely, you can temporarily stop using your mobile while in these locations. The Android operating system is very susceptible to viruses because it is open source. When compared with iOS which has tight security, Android is indeed more vulnerable to virus attacks. Even though it's open source, in fact the Android operating system is very safe. Unsafe is the application. Especially if you download an application outside the Play Store that has not guaranteed security, the address of your smartphone will be exposed to malicious malware, gang! Mobile phone radiation can trigger cancer. Research shows that there is no correlation between the use of cellphones and cancer. Existing radiation does not have enough energy to directly damage DNA. So, you don't need to worry that your cellphone will damage your brain and grow dangerous tumors. So that is, 10 myths about cellphones that were not proven at all. What have you been believing for? Write in the comments column!